*Note, although we are an Amazon affiliate, which sells MANY brands, we are NOT in direct sales for any essential oil company. Essential oils are great for everything from homemade clean supplies to non-toxic home scents. If you use a lot of oils, you quickly end up with a large stash of used bottles. Here are a few great ways to reuse them. BATH SALTS – Oil bottles are great for using those last drops to make bath salts. Place a little carrier oil in each bottle and give it a shake. Then toss the bottles into a big jar of Epson salts. Put the lid on the jar and give it a shake. Let them sit until you need some bath salt and pull them out. The Epsom salts absorb the essential oils left in the bottles using every last drop while making the bottles easier to clean for other uses. BLENDS – Old essential oil bottles are perfect for mixing your own oil blends in. The droppers built in are perfect for dispensing drops of diluted oils or you can upgrade them by adding a roller top to your old essential oil bottles. 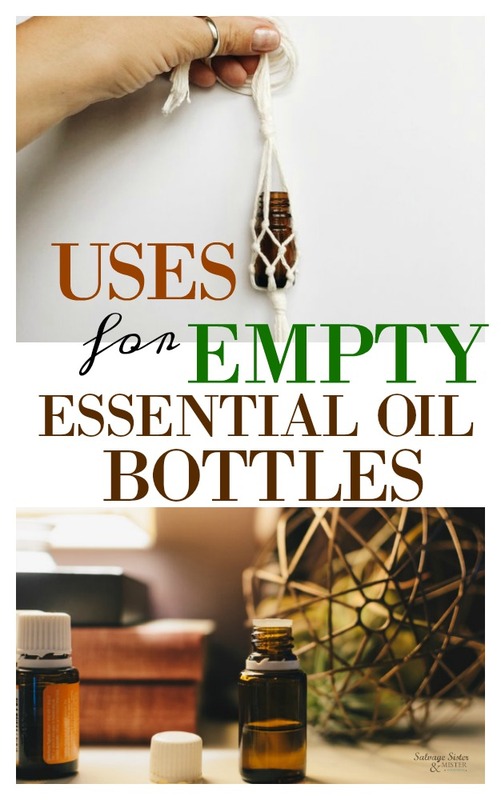 Larger essential oil bottles can easily attach to spray bottle tops to make your own essential oil linen sprays, find labels here. INHALER – Old bottles make great inhalers for essential oils. After washing out well, shove a small bit of cotton into the bottle and add several drops of your choice oils. Seal the cap and give it time to spread. While on the go, open your inhaler, cup your hands around it and take a deep breath. VASE – Remove lid/labels and clean bottles. Now you can use these as little vases. This is especially nice if you use a bunch as a centerpiece for an outdoor tablescape. Here are a few Pinterest craft ideas that will get you inspired to reuse these cute bottles…. This CHRISTMAS CRAFT is adddddorable! Are you looking for a quality essential oil? Rocky Mountain Oils employs external third-party testing. In-house, they put the oils through even more testing, including organoleptic, GC/MS, refractive index, and more. They offer the Rocky Mountain Oils S.A.A.F.E. Promise™ on the oils, which stands for satisfaction guaranteed, authentic, analysis, free of adulterants, and effective and pure. Every oil comes with a batch code that can be entered on the site to check the GC/MS reports. Customers can also call or email the company to request the reports on any oil they are considering purchasing. I have lots of empty bottles I’ve been saving but haven’t figured out what to do with them. Love the Christmas crafts and ornaments. Thank you Linda…I’m glad you were inspired. I usually recycle my bottles but definitely would love to get more use out of them than that. These are some great ideas. Thanks for sharing. Thank you Donna! Glad you got some ideas! I just recycled a bunch of old bottles, this is so cute and love the crochet holder. Fun! It’s fun finding new ways to use things. Thank you Susan. 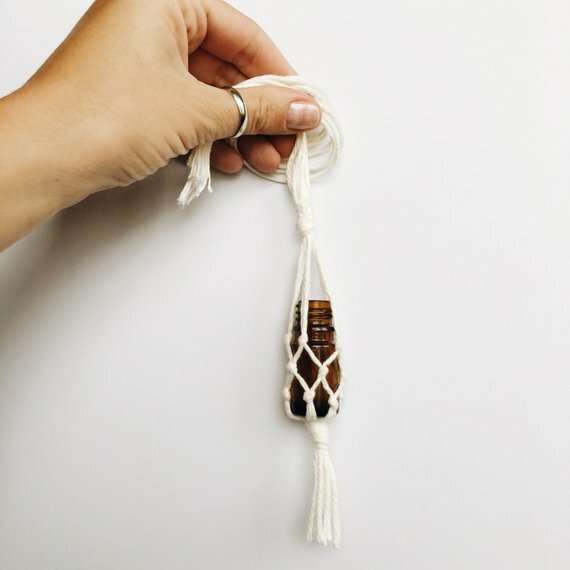 I love macrame too.